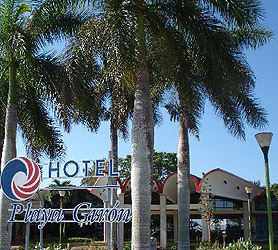 The Hotel Playa Giron part Cienaga de Zapata Biosphere Reserve. Just 68 km from the city of Jaguey Grande in Matanzas, Matanzas City Center and 100 km from the city of Cienfuegos, the Hotel offers easy access to numerous major cities right from its Southern Matanzas base. Surrounded by wildlife, the area has a great variety of species, with over 160 species of birds of both migratory and endemic, among which are the most striking Hummingbirds, Parrots, Partridges and many more. The nature sanctuary called Las Salinas de Brito is very close to the Hotel. Also part of the zoological community at Zapata nature reserve are 16 species of reptiles, among which stands out the Cuban Crocodile. Other important species are the manatee and Manjuarí considered by many specialists to be a living fossil. Sport fishing is available from Hotel Playa Giron and includes two sites. The first is Las Salinas where fishing is possible in the lagoon that was once a salt refinery. Anglers can catch bonefish throughout most of the year. The second spot is Hatiguanico River which offers tarpon fishing. Diving is also very popular in this region and numerous scuba diving tours can be purchased at the hotel without pre-booking. The three main dive centers available are: Playa Giron, Punta Perdiz and Punta Caleta Buena, all offering over 20 world-class dive sites. Super Clubs Breezes Jibacoa is located between Havana and Matanzas City and, as such, ideally situated to visit both cities along with a day trips to Varadero which is just 40 KM away. Free from external distractions the resort is a self contained holiday Mecca with its own amazing beaches. Super Clubs Breezes Jibacoa occupies no less than 7 acres of the most beautiful and untouched Matanzas coastline you’ve likely to experience in Cuba. Being a standalone resort the whole resort and area is entirely dedicated to this one hotel, offering an amount of exclusivity absent in more popular resorts such as Varadero. The Super Clubs Breezes Jibacoa All-Inclusive plan is very concise, covering every possible meal alternative, snacks and drinks. As there are no other local alternatives to eat or drink, unless you leave the resort entirely and visit Matanzas, Havana or Varadero, all of your eating and drinking needs are covered in your room cost. Super Clubs Breezes Jibacoa caters to people over the age of 14 only; therefore those with younger children would need to book elsewhere. However, due to this adult only regime, the Hotel Super Clubs Breezes Jibacoa maintains and level of entertainment suited to adults, undiluted by children’s activities. As a complete relaxation venue with the odd trip into the aforementioned cities, Super Clubs Breezes Jibacoa is a perfect place to recharge your batteries under the Caribbean sun. Our booking process is unique because it shows the best rate from all of these for Super Clubs Breezes Jibacoa hotel in Matanzas and the types of rooms available. 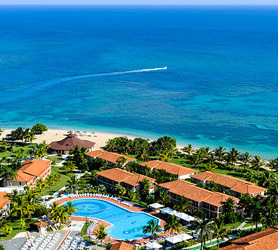 Our Super Clubs Breezes Jibacoa Matanzas rate comparison is an industry first for Cuban Hotels. Once you’ve compared the rates, finalizing the booking at Super Clubs Breezes Jibacoa Hotel takes just seconds and an immediate confirmation is provided in real-time. Hotel Guama is located right in the heart of Cienaga de Zapata Peninsula Biosphere Reserve and is an ideal hotel for ecotourism and nature enthusiasts. 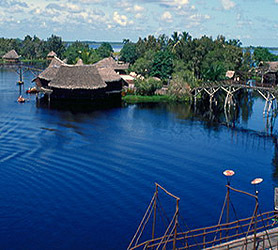 Hotel Guama Treasure island Lake location means its surrounded by crystalline waters and wildlife. Despite being a 2 star hotel you’ll find and onsite restaurant, lobby bar and large swimming pool to compliment the outdoor swimming possibilities in numerous fresh and seawater locations surrounding the hotel. The Hotel Guama offers row boats, bird-watching or hiking excursions and exclusive tours of the nearby crocodile breeding center. The crocodile farm offers an insight into various endemic species of Crocodiles, their gestation periods, offspring and habitat. Visitors can even witness the birth if baby crocodiles. With 44 rustic cabins made from solid wood and palm leaves, the whole resort ticks every box of a sustainable tourism venue. Our booking process is unique because it shows the best rate from all of these for Guama hotel in Matanzas and the types of rooms available. Our Guama Matanzas rate comparison is an industry first for Cuban Hotels. Once you’ve compared the rates, finalizing the booking at Guama Hotel takes just seconds and an immediate confirmation is provided in real-time. 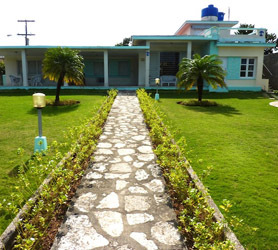 Looking for a Hotel in Matanzas Cuba? Below is a complete list of hotels which are actually in Matanzas. 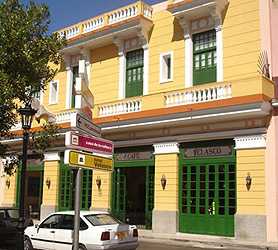 This list of Hotels in Matanzas only includes those hotels which are in the city and province, which includes: City Center, Playa Larga, Jibacoa and Guama. Of course, Varadero is in the province of Matanzas but, as the hotels are so numerous, please visit Cuba Varadero. 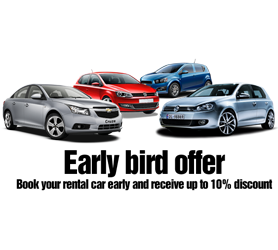 Matanzas Hotels with our Fast Booking program means you can check prices on all Hotels in Matanzas and compare rates across all suppliers. Booking your Hotel in Matanzas is then simple. Choose the hotel, best rate applicable and confirm using any major credit card from any nation. Your credit WILL NOT be charged until check-in and there is no need to take the credit card used in the booking process with you to to Cuba. All Matanzas hotel Reservations are 100% guaranteed as confirmed with the hotel and a confirmed booking code is issued directly from the hotel. Below is a list of every hotel exclusively in Matanzas. You are guaranteed the lowest rate on your Matanzas Hotel stay along with payment in 32 currencies including USD, Euro, CAD, Yen, and many, many more. 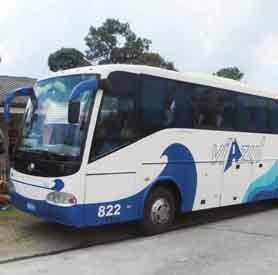 The list of Matanzas Hotels below is a complete list of every Hotel in Matanzas. Immediate confirmation of all Hotels is assured if available right now. Or maybe you’d prefer a Casa Particular in Matanzas? 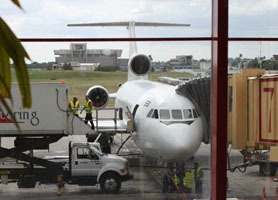 The closest major airport to Matanzas, Cuba is Juan Gualberto Gómez Airport (VRA / MUVR). This airport is in Varadero, Cuba and is 26 km from the center of Matanzas, Cuba. Matanzas Cuba Mobile phone network coverage is very good these days. Some areas of Matanzas may offer limited coverage but overall it’s good. Unless you use a US mobile operator it’s more than likely that you will be able to use roaming in Matanzas but this can be expensive. Staying connected in Cuba at a better rate will mean obtaining a Cuba SIM Card throughout your stay. Using cell phones in Cuba and Matanzas is then much like anywhere else in the world where you can purchase Cubacel prepaid SIM card and use this anywhere in Cuba. You can purchase these prepaid Cuba SIM cards at the offices below and also recharge the phone with credit at these locations. Also, many hotels and stores in Matanzas offer prepaid recharge cards should you need to do this on the go. 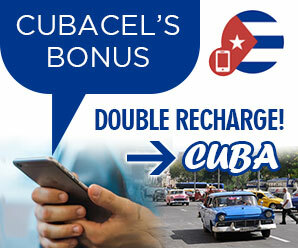 If you have a credit card there are often Cubacel double recharge offers but to obtain these you will need to go on the internet as they are never available directly at Cubacel Offices in Matanzas Cuba. 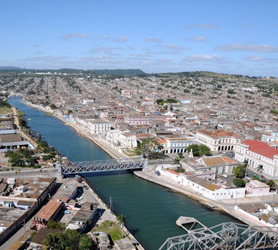 GPRS, Mobile Internet & 3G connections can also be used in Matanzas Cuba. Cuba offers mobile internet to cell phone users with almost 100% national coverage but, this is more expensive than you are accustomed to and the network can be slower in Matanzas Cuba than other countries. If you decide to take your own mobile phone to Matanzas Cuba, please be aware that it will need to be unlocked and operate on the 900 to 1800 MHz GSM frequency. Almost all mobile phones produced since 2005 are quad band and as such will work but, please check your owner manual to avoid disappointment. Milanés e/. Jovellanos y Ayuntamiento, Ciudad de Matanzas.